And then there was a car crash, a horrible injury, and a hospital. But before Evening Spiker's head clears, a strange boy named Solo is rushing her to her mother's research facility. 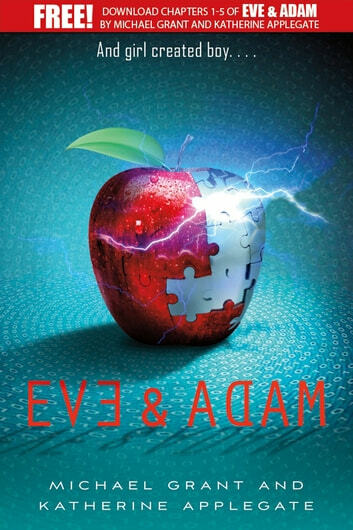 There, under the best care available, Eve is left alone to heal. Just when Eve thinks she will die-not from her injuries, but from boredom-her mother gives her a special project: Create the perfect boy. Intrigued? Eve & Adam is available now! The first few chapters have got me hooked and I love he way he writes. I love Michael grant and I don't think this book will disappoint. It was ok i like michael grant gone seres more i think katherine and michael did good job on eve and adam.